Since resuming normal operations post the festive period, Urban Melbourne's project database has averaged one additional new project entry per day during 2015. Updated existing entries aside, no less than 50 new residential projects have taken their place within the database. While a select few new developments added during 2015 are either at sales or under construction, the vast majority of new listings are either seeking or have recently obtained planning approval. Combined these 50 projects have the potential to pump approximately 4,520 new dwellings into the Melbourne residential sector. 2015's new listings show that no less than 15 Melbourne municipalities have had at least one project added to their ranks. Stonnington, Port Phillip and Moreland are the most popular municipalities, accounting for 23/50 listings. While this is expected given the popularity for high-density living in these areas, it's also a reflection of the ease in which information can be sourced online for the three nominated councils above. Conversely certain other councils have scarce little easily accessible planning documents available online. There are for instance 15 sizeable planning applications located within City of Whitehorse's boundaries that have little recognition online via the council's webpage. Overall there are currently 677 listings within Urban Melbourne's project database; 344 are shown to be either under assessment or approved with the balance split between registrations/sales and construction. Most recent to enter the database is the latest incarnation for the what was once Coburg High School. Subject to a distinct doughnut-shaped, JCB-designed proposal in recent years, the site is now before Moreland City Council. Expected to be delivered in stages, 81 Bell Street consists of five separate buildings with 8-11 levels the requested outcome. Holding 391 apartments overall, 81 Bell Street's scheme is distributed over an approximately 12,000sqm site which has been vacant for the best part of a decade. In its recommendation to Moreland's Urban Planning Committee, council officers suggest a planning permit be issued for the first stage of the development. With a healthy backlog of projects awaiting entry into the project database, it seems that Melbourne's apartment sector will continue to march on unabated. Seen above are but three of the many projects that will appear in the database over coming weeks. While 555 Collins Street is well known, 280 Queen Street at 250-odd metres and 104 Mount Street, Heidelberg are examples of projects that have escaped the public gaze to date. Combining the burgeoning number of apartment projects Melbourne-wide and expanded research capabilities of Urban Melbourne, the Urban Melbourne project database will continue to grow at a rapid pace in the months to come; the expectation is that it will comfortably exceed a hefty 800 listings in the not too distant future. Good article Mark but have you noticed any negative reaction towards any development by the present state government? We haven't sought to interview the Planning Minister as yet, but there seems to be a state of flux at the moment over larger inner-city projects. I'm looking forward to you getting an interview with the minister if possible. I'd like to know whether he has moderated his views now that his mob is in power. 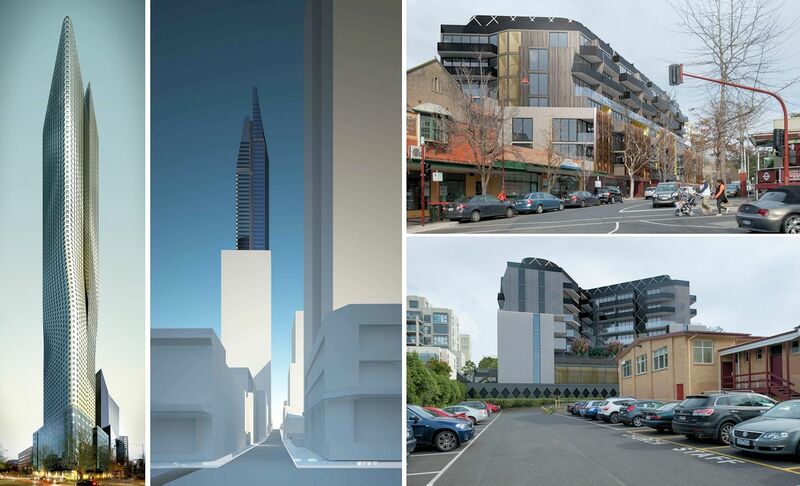 Absolutely love the Brady proposal at 280 Queen St - pointy cathedral shaped roofs at 250m+ FTW !! Let's hope the new minister has some balls to approve quality like this and not cave to the all-height-is-evil anti-development lobby at the CoM etc ..
Wynne only started working again 2 weeks ago. the backlog really just relates to that - I'd expect there'll start to be a trickle of approvals soon.